"Never underestimate a man with everything to lose." Burnt tells the story of a bad boy chef whose Paris restaurant has a two-star Michelin rating. He's famous in the Paris restaurant scene for creating outstanding new and unique recipes. Unfortunately, he's also erratic and doesn't care for anyone but himself. He has substance abuse issues and a nasty temper, which cause him to lose everything. Now in London, he's trying to make amends for all the wrongs he committed in Paris. He has a new kitchen and is building a new team of chefs, all in an attempt to prove himself by doing the impossible: getting a third Michelin star, something reserved for the best of the best. To be the best, he'll need to overcome his past problems and addictions to become a better man. With new friends and coworkers - not to mention a love interest - by his side, he might have a chance to make it. 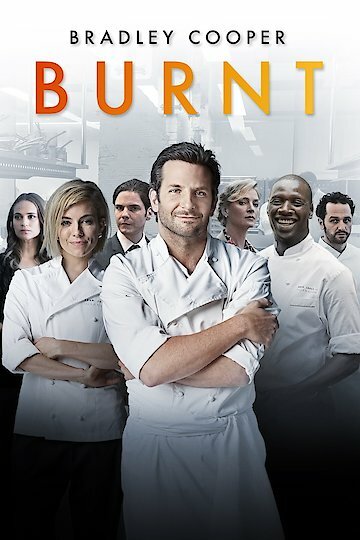 Burnt is currently available to watch and stream, download, buy on demand at Netflix, Amazon, Vudu, Google Play, FandangoNow, YouTube VOD online.